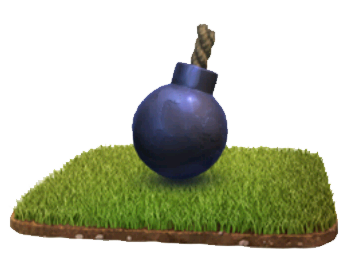 The Bomb is one of many Traps in the Clash of Clans game. Even though Bombs are classified as “Defensive Buildings“, they are not buildings and do not need to be triggered/destroyed for your enemy to reach 100% destruction (nor do they count toward it). At level 5, the Bomb in addition is encased in a metal shell and several golden bumps on its surface. Glowing fuse is telling that the bomb is armed. The unarmed bomb don’t have the fuse at all. One defensive strategy commonly used for the placement of Bombs is to position them along the outside wall, behind external buildings. 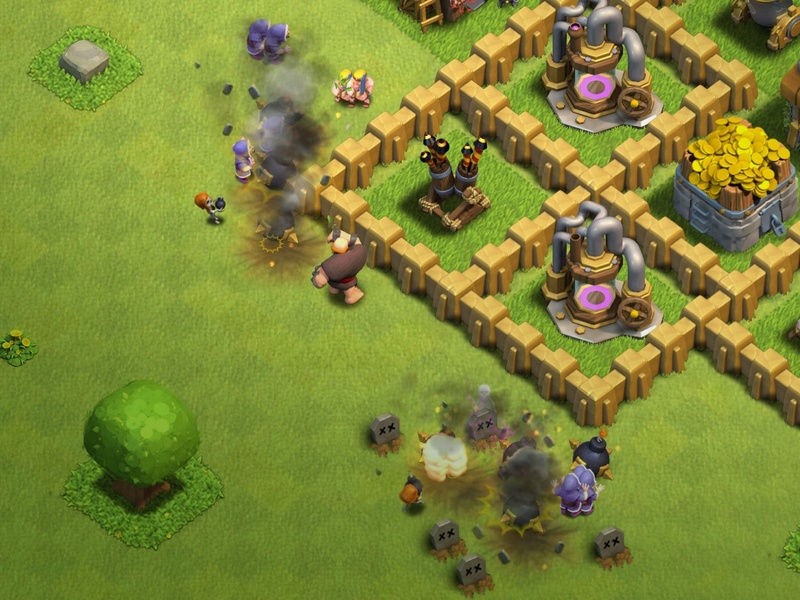 The external buildings serve to delay the enemy troops until they’ve grouped up, so that when they attack the wall, the bomb hits many troops at once. 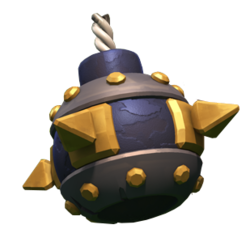 This is most effective against Tier 1 troops, though grouping enough bombs together can be a serious hazard for Giants, too.